Saint James Perique tobacco leaf is quite rare. Our genuine Saint James perique whole leaf tobacco is grown and cured by a small family farm in rural Saint James Parish that has been producing high quality barrel-cured perique pipe tobacco for generations. 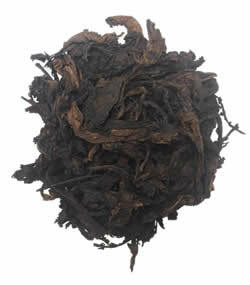 Saint James Perique tobacco leaf is highly regarded as the truffle of pipe tobaccos. Saint James Perique is used as a component in many blended pipe tobaccos, and is best smoked in a blend because many smokers consider it too strong to be smoked standalone. 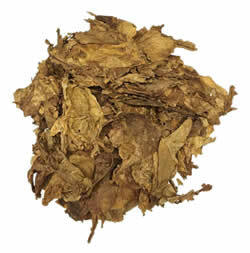 If you are looking for a more mild Virginia Flue Cured to blend, check out our Canadian Virginia Flue Cured Tobacco Leaf. 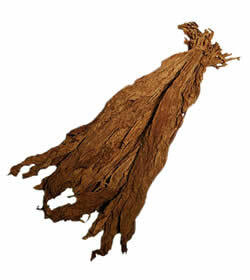 To convert these tobacco leaves into RYO, MYO, or pipe tobacco, check out our tobacco leaf shredders! 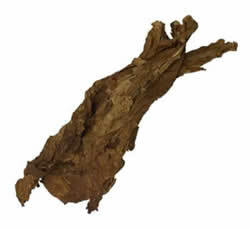 Saint James Perique is very hard to find in a whole leaf tobacco form [main stem in-tact]. With just a little air drying, the leaves quickly brown and are cleaned and packed into hickory whiskey barrels. The tobacco leaves are kept under pressure using oak blocks and massive screw jacks, forcing virtually all of the air out of the moist leaves. Approximately once a month the pressure is released, and each section is worked by hand to allow some air back into the tobacco. After a year of this treatment process, the perique is ready for smoking consumption. Even though at this point it may be kept fresh under pressure for many years, due to the preserving effects of the curing process. Interested in purchasing a quantity of Saint James Perique Tobacco Leaf at the incredible prices listed below? Contact us to set up your order now. 2017 American Virgnia Flue Cured Crop – Lighter & smoother than last years crop, yet it retains it’s distinctly American flavor! Our 2017 USA Virginia Flue Cured Tobacco is more robust and full flavored than the B version of this tobacco leaf. This leaf produces a smoke similar to a Red Marlboro. 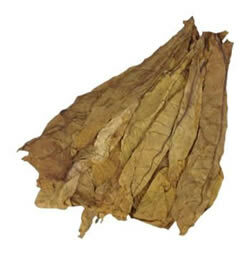 These Limited Edition tobacco leaves are smooth, full flavored and produce a smoke similar to that of a Marlboro. We only have a couple of bales of this tobacco, it was just too good to pass up! 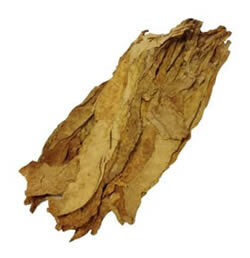 Canadian Virginia Flue Cured tobacco is usually found available pre-processed (chopped) and only in large quantities. 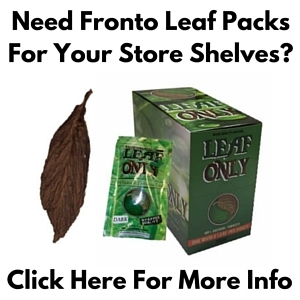 Now you can finally enjoy the whole leaf, unadulterated by any commercial processes. 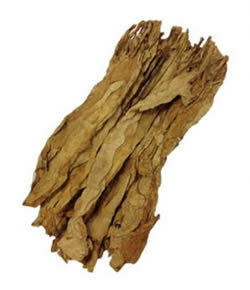 Grade A, all natural burley leaf tobacco is used for similar purposes as Canadian Virginia Flue Cured, because it is also usually only available in a chopped format. Our Uncut Burley leaf is grown in the state of Michigan. 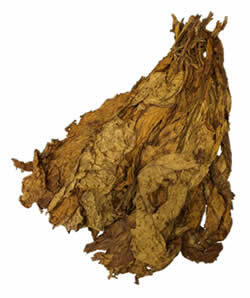 Grade A, all natural burley leaf tobacco that is also known as 'light air cured'. It blends extremely well with Canadian Virginia Flue Cured in cigarette blends. 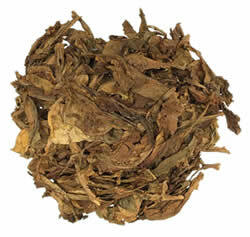 Used for cigarette blends this Brightleaf tobacco smokes sweet and smoothly. It is packed & pressed into bales, but you will still get beautiful whole leaves in each pound. 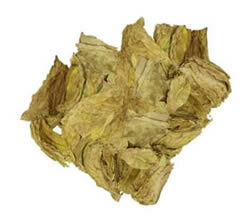 Primarily used for cigarette blends, this Smooth / Flue Cured Brightleaf is a sweeter and fuller tasting tobacco and arrives in a beautiful whole leaf format, even though it is packed and pressed into bales. 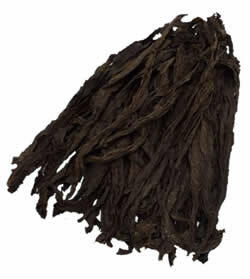 Semi Oriental Tobacco 456 is a superb addition to any tobacco blend, with it’s smooth and spicy flavor. This is a unique leaf, that is for the enjoyment of Connoisseur tobacconists. Like many other popular oriental tobaccos, the Izmir Turkish Oriental Tobacco Leaf is used in just about all “Turkish blend” cigarettes. 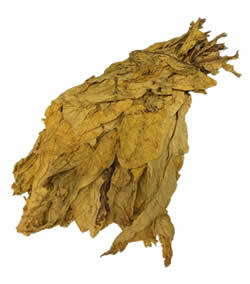 Oriental Yenidje Tobacco Leaf is a light and mellow addition to any cigarette blend. This very well could be the lightest and smoothest leaf available… this leaf is truly Oriental, unique and hard to come by! Our Cyprian Latakia is similar to the Yenidje Oriental tobacco leaf, which goes through a smoke curing process that gives this leaf its uniquely dark color and smoky taste. 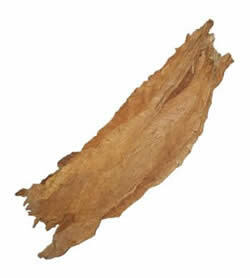 Samsun Turkish Oriental is a thin golden brown tobacco leaf that is grown in Turkey, well known for its unique taste and aroma, it is highly regarded as one of the highest quality pipe tobaccos in the world. 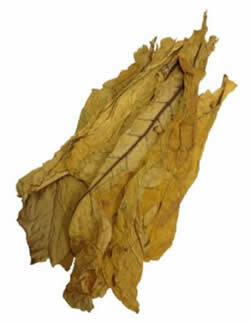 Krumovgrad Bulgarian Oriental tobacco leaf is golden yellow / brown in color and grown in Bulgaria. 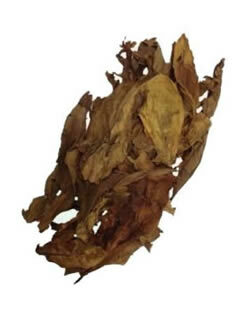 This tobacco leaf is known for it's sweet, pleasant flavor plus a smooth burn that oriental tobaccos are known for. Grown and cured by a small family farm in rural Saint James Parish that has been producing high quality barrel-cured perique pipe tobacco for generations, highly regarded as the best in the world.